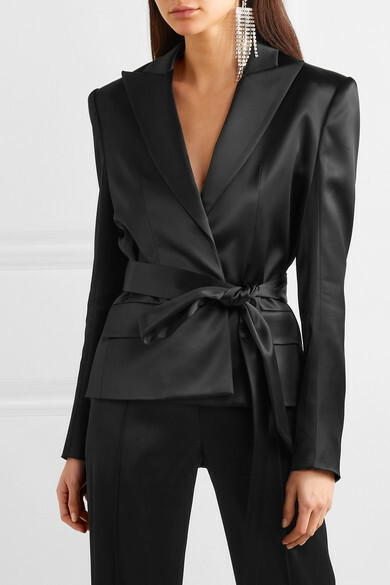 "When you buy an Alexandre Vauthier jacket, you know it's quality and you know it's luxurious," says the designer. 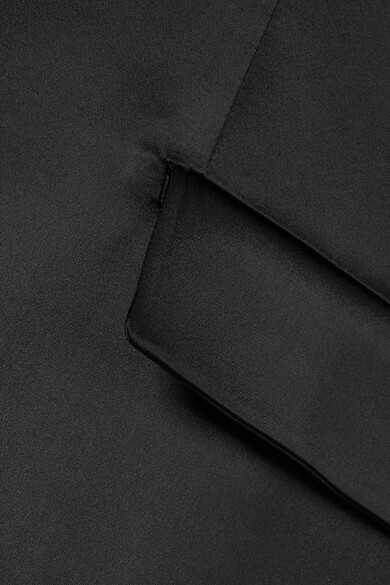 Part of the Spring '19 collection, this blazer has been expertly tailored in France for a loose fit from black satin with a tie belt to cinch in the waist. 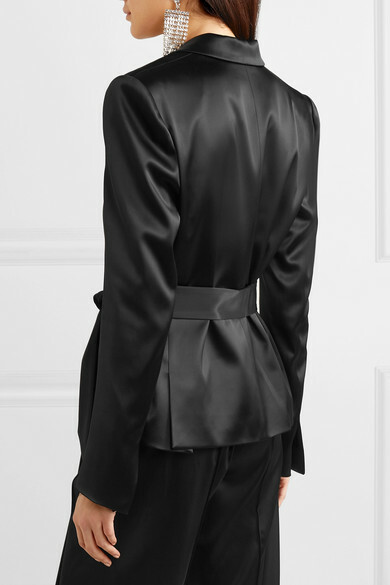 It has sharp peak lapels and padded shoulders. Wear it as a suit with the matching pants. Shown here with: Jimmy Choo Clutch, Saint Laurent Mules, Alessandra Rich Earrings.